That week sure seemed to zip by with the whole Monday holiday thing. No complaints over here! My training has been starting to ramp up lately – 2 workouts a week, longer long runs, and speedy intervals! Woof. But somehow, I have been finding the time to continue to cook my way through Run Fast, Eat Slow (and my mom has too!). So for today’s recipe, I want to tell you about the Superhero Muffins (pg. 42)! They’re deliciously dense, moist, and packed with VEGETABLES. Grated carrots and zucchini to be exact. 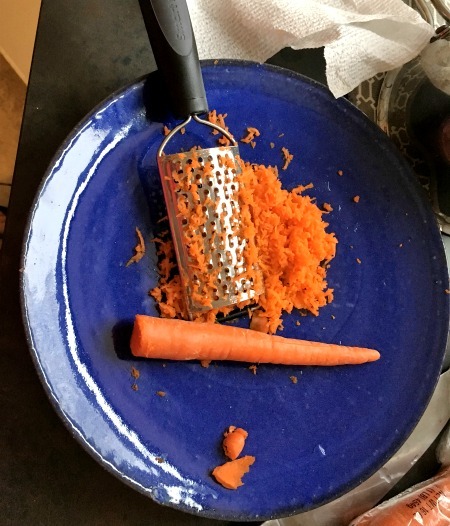 Honestly, the thing about this recipe that takes the longest is grating down all the carrots and zucchini to get the quantities needed. You can get a little crazy with the add-ins at this point. 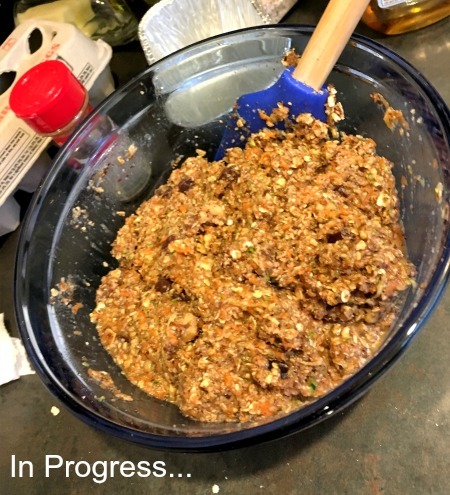 The recipe recommends chocolate chips, walnuts, or chopped dates. I happened to have all 3 on hand so they all went in! Ordinarily, I think I would skip the chocolate chips though since the dates do a great job adding a little sweetness. 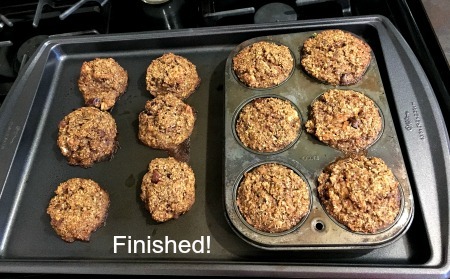 I only had 1 muffin tin on hand, so the extra batter I lumped into cookie-like blobs. Not as pretty, but just as delicious! I ate these all week before my early morning runs, sometimes splitting them in half and boy are they good! The only note I have about these is that you should probably refrigerate them to extend their shelf life. I left them in a tupperware out on the counter top and some of them got a little moldy before I could eat them. Whoops. Otherwise, so yummy! 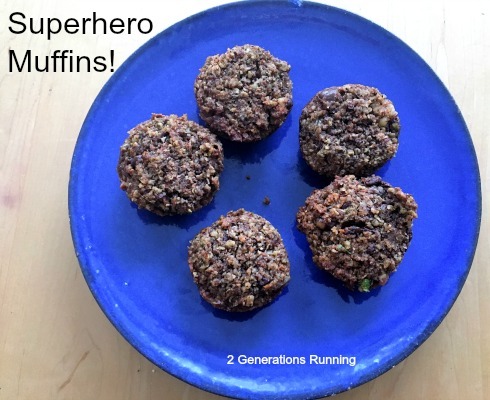 This entry was posted in Eat Slow, Recipe and tagged 2 Generations Running, Eat Slow, Half Marathon Training, Nutrition for Runners, Run Fast, Superhero Muffins. Bookmark the permalink.